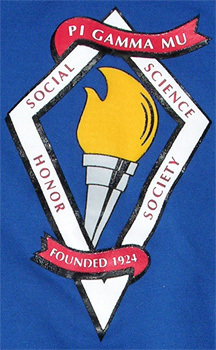 The name and graphics of Pi Gamma Mu, the International Honor Society in Social Sciences, are protected by a service mark (SM). 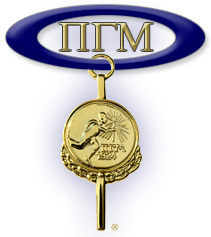 The U. S. Patent and Trademark Office issued the service mark (U. S. Registration Number 4,435,110) on November 19, 2013. 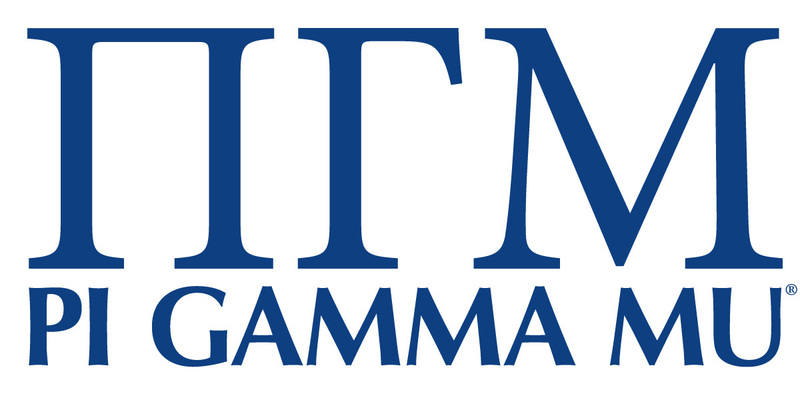 No entity other than Pi Gamma Mu and its chapters may use Pi Gamma Mu's name and graphics without the express written permission of the international executive director. 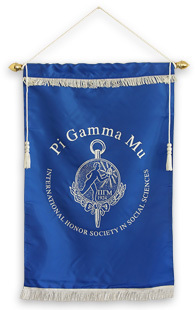 Lifetime members of Pi Gamma Mu are authorized to use the Pi Gamma Mu name for the purpose of identifying their affiliation with the honor society. 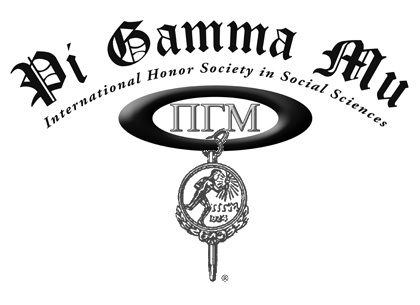 Graphics may be used by Pi Gamma Mu chapters in good standing for website and promotion purposes. Right-click over the graphic and 'Save picture as...' (or equivalent) to download a copy.